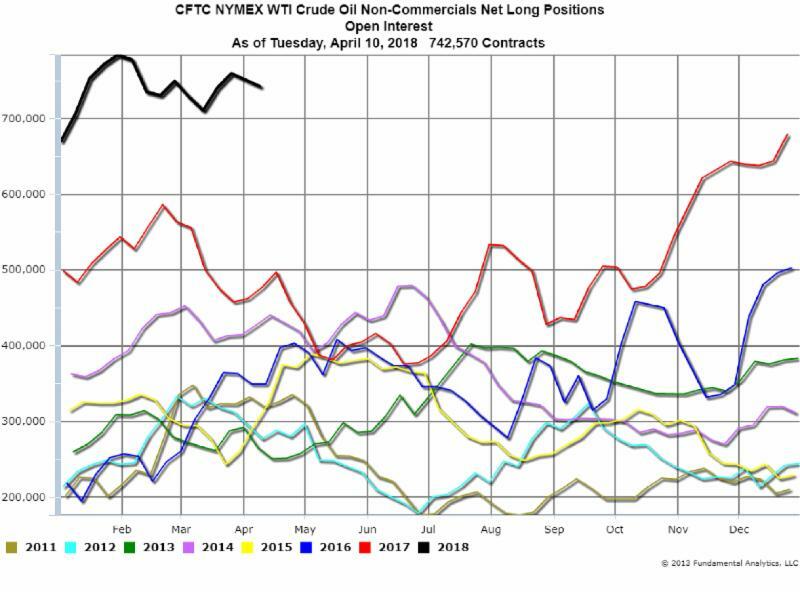 The latest CFTC Commitment of Traders Report as of Tuesday, April 10, 2018 shows the Non-Commercials Net Long Positions decreased during the last two weeks by 17,045 contracts to 742,570 contracts. 24,240 long positions were closed and 7,195 Short positions were covered. Range bound Crude Oil prices and range bound Funds positions.